Those hoping for a fancier, sexier take on the Chevrolet Silverado, could be in luck. According to Pickuptrucks.com, the Silverado may see a new high-end trim level to take on the likes of the Ram Longhorn and Ford King Ranch. What’s more, the truck will resurrect the classic “Scottsdale” name, which dates back over 30 years. 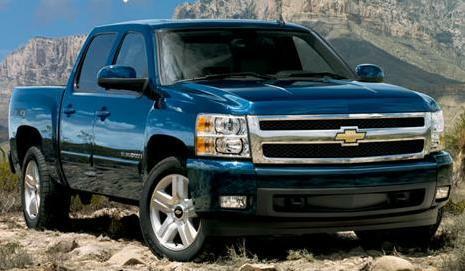 As the resident GM Authority truck guy, I fully embrace the rumored Silverado Scottsdale. But, you’re probably thinking, “doesn’t a proposed Silverado Scottsdale kind of step on the Sierra Denali’s toes?” Not as much as you would think. For instance, take a look at the Sierra Denali and its chromed out glory. Then, look at its “Professional Grade” marketing – and the technical, industrial themes that go with it. Now, look at the likes of the Ram Longhorn and the Ford King Ranch – trucks that seem to be aimed at middle to upper class outdoorsmen with log cabins in the mountains or a farm full of race horses. The more urban-themed Denali cannot compete as effectively with these two, since it seems to be chasing another market spectrum. Therefore, a Silverado Scottsdale is a welcome addition to The General’s pickup truck lineup that could easily compete more effectively against high-end offerings from the competition while still letting the Denali roam free in its niche market. That said, we hope that the truck will feature some true ingenuity, and not just be the result of a parts-bin raid. Now, how about a Ford SVT Raptor fighter? I used to have an old 84 Scottsdale, would love to see this name revived lol!!!! Up scale Scottsdale? That would be a switch. Once upon a time the Scottsdale was very low on the totem pole of trim levels. It was just above the base C-10 Pickup. Seems like a good idea, trim level varients to appeal to personal taste and aspiration. Mass customisation, should resonate with the intended customer base, not as much cost to amortize as say a 4.5 liter tubodiesel, manual trasmision option or a new compact pickup platform. If the take rate is low, just leave the chrome badges in the wharehose.